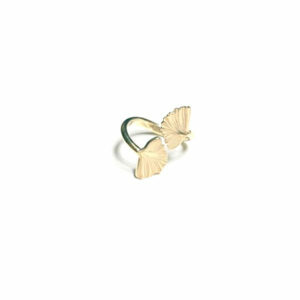 A stunning statement piece, this lavish ring will add a bold, elegant touch to any casual or formal ensemble. 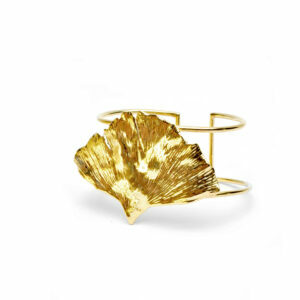 Crafted of 24K gold-plated silver, the exceptional maple leaf silhouette is marked by flowing lines and meticulous details, the shape inspired by the dynamic landscape in impressionist paintings. 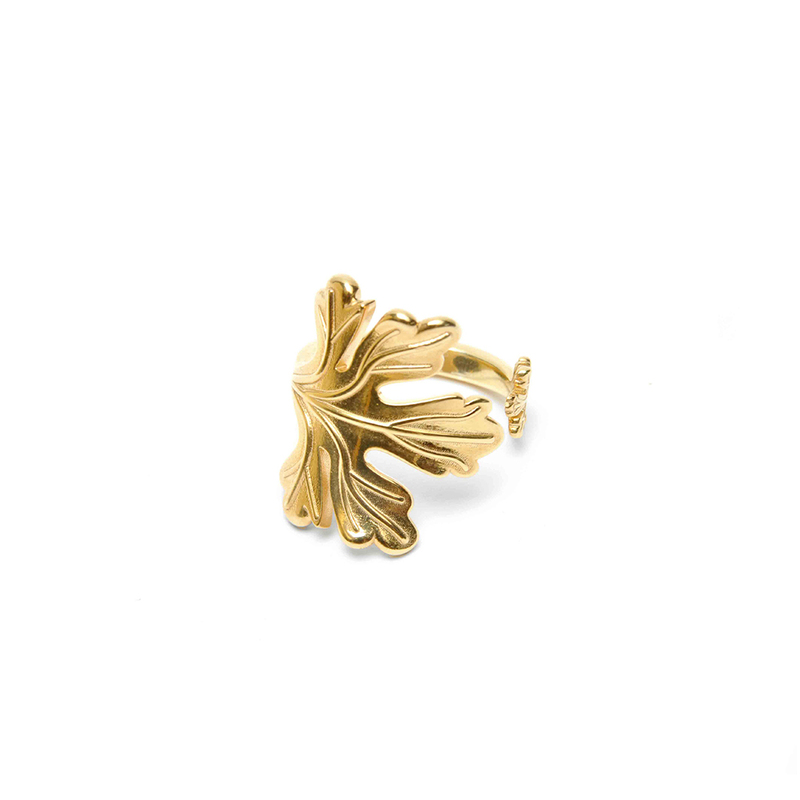 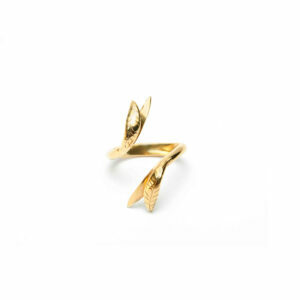 Entirely handmade, the frond motif wraps around the band, the end of the band and ring face almost touching, the spatial tension adding to the ring’s allure. 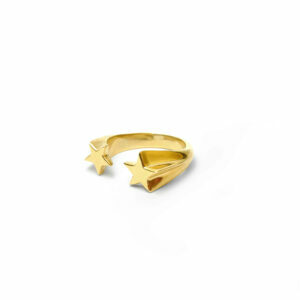 A unique look, this ring has just the right amount of vintage sophistication and effortless drama.